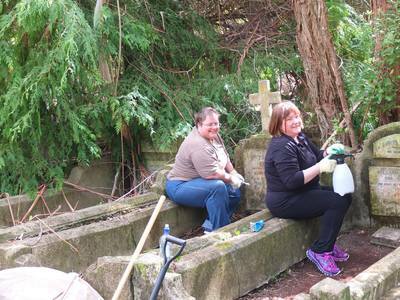 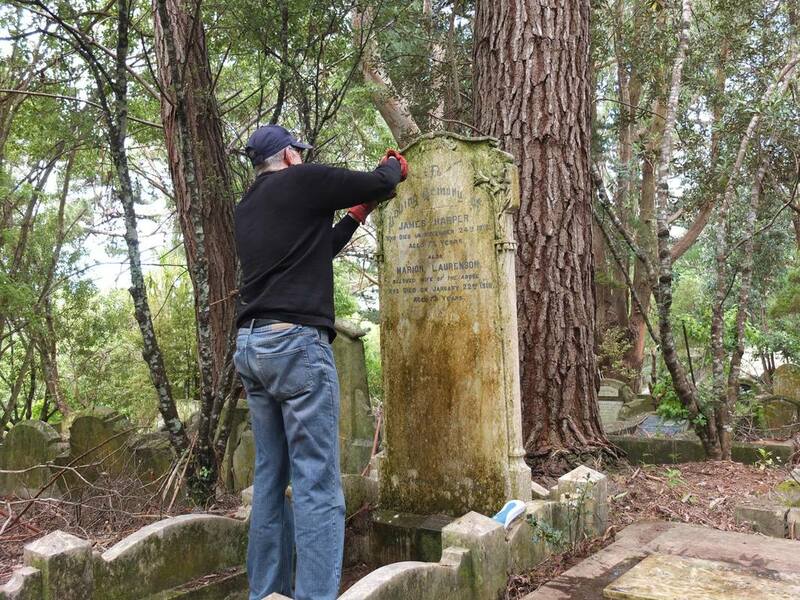 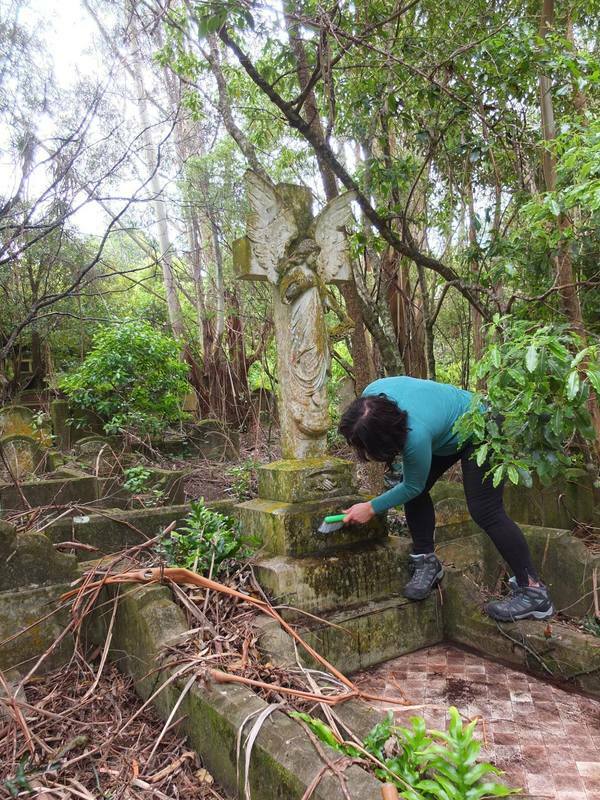 ​20 enthusiastic workers turned up for this season's first working bee and 2 hours later 36 extremely dirty plots and/or headstones had been cleaned. 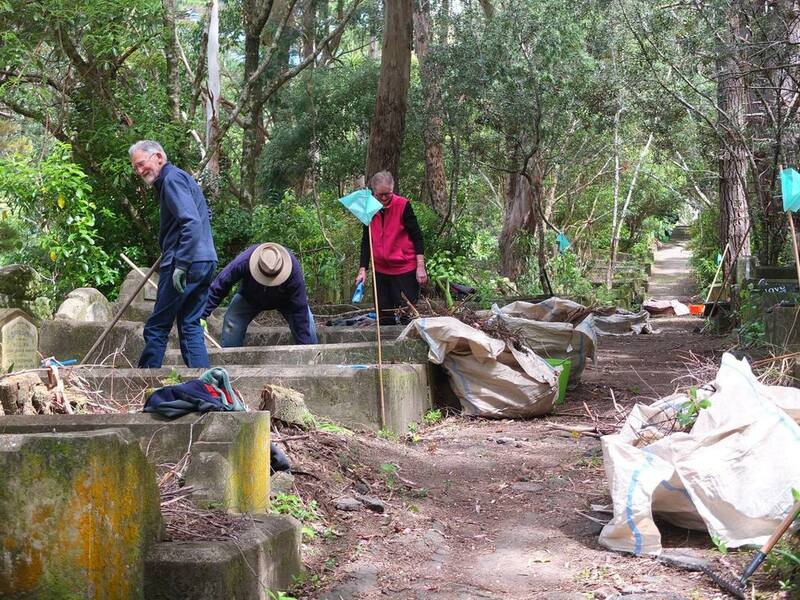 The work was made so much easier thanks to a dozen or so hard working volunteers from Datacom who spent two hours sweeping, cleaning, and piling all the leaf and other litter from the paths in "Gum Gully" on Thursday 9 November. 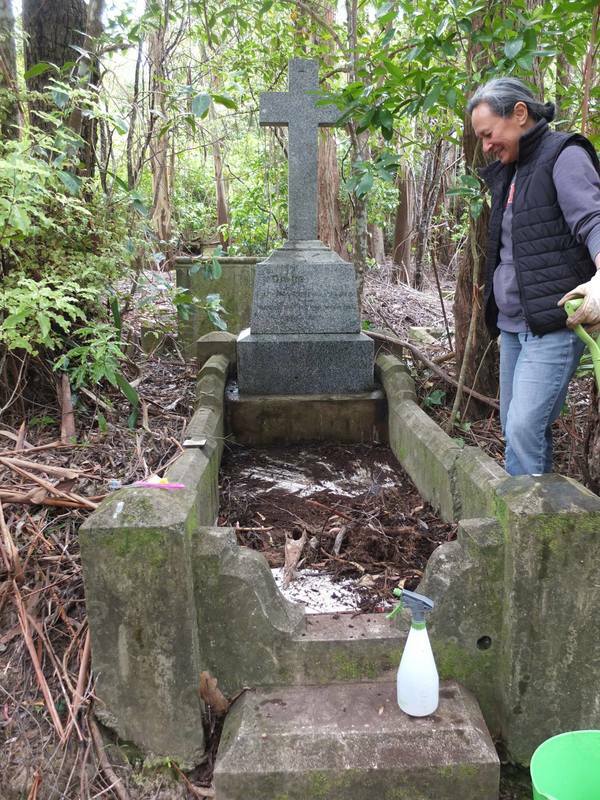 The biographies and the grave photographs on this website are licensed under a Creative Commons Attribution-NonCommercial 4.0 International License.